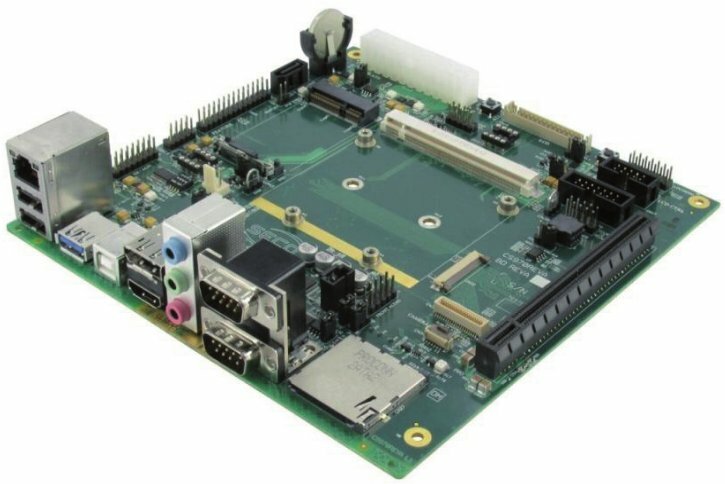 SECO mITX GPU DEVKIT is a GPU computing development kit that provides a Mini-ITX Qseven 2.0 carrier board (SECO mITX Carrier Board) with a Nvidia Tegra 3 powered Qseven SoM (QuadMo747-X/T30). The carrier board provides a PCI-e x16 connector (PCI Express x4) intended to allow the connection of CUDA 5 enabled desktop graphics boards. Embedded Control Europe reports that the platform will support Nvidia Kayla platform. The platform will support Linux Ubuntu , as well as CUDA Tool Kit. The company already provides documentation for the carrier board and Q7 module, and links to the bootloader (U-Boot) and the Linux kernel source will be available soon. This development kit is available for 349 Euros excluding taxes for professional use only, i.e. not for individuals / hobbyists. You can find more information on Seco’s GPU development kit page.